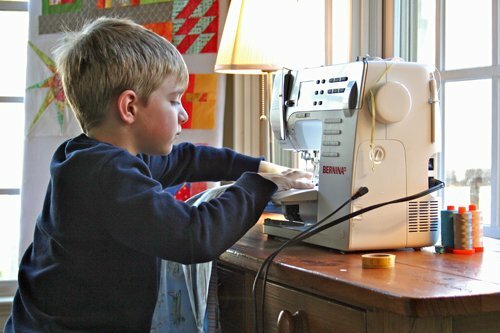 In this class, kids will make a simple pieced quilt. They get to pick their fabrics and be creative! We will teach them basic sewing machine function. Students will learn how to measure and sew seams, correct pressing techniques, simple quilting and finishing. Come in ahead of time to choose your fabrics and pick up your supply list. Students bring a sack lunch, snack and a drink. On Thursday Papa John's Pizza will be provided at no extra charge. Beginner level 9+ years old. The class fee includes the class supplies.